When the rains came down last June (2012) it devastated a number of homes around the North East. 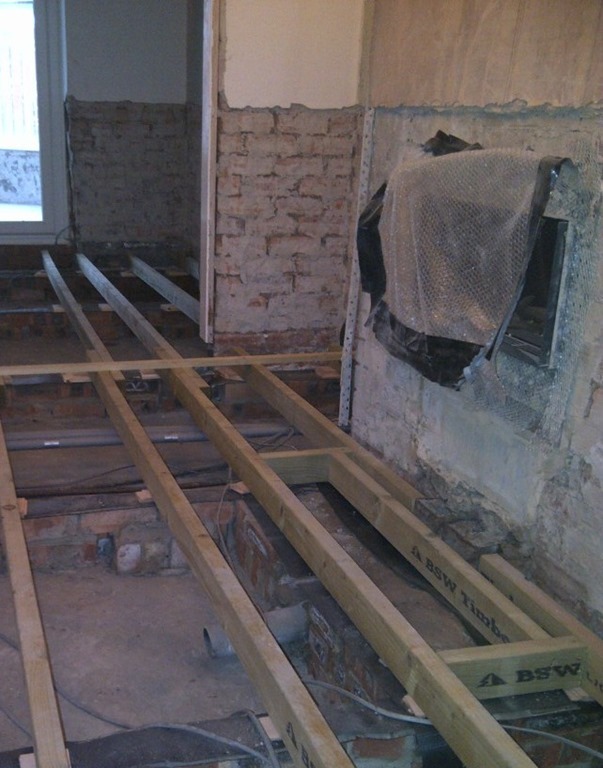 Macoun were asked to renovate a home in Whitley Bay after the initial drying out certificate had been passed. 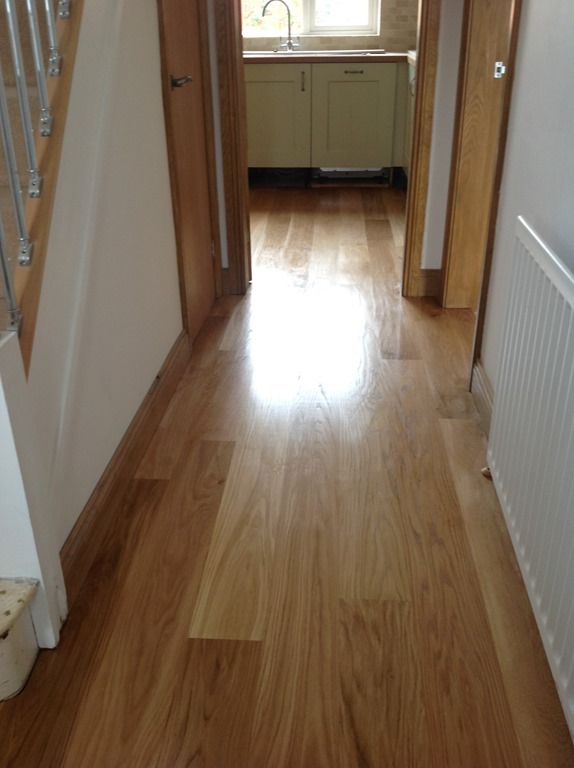 Working with the loss adjusters and their building surveyor Macoun drew up a price for completing the works which included reinstating the oak floors, doors and kitchen. 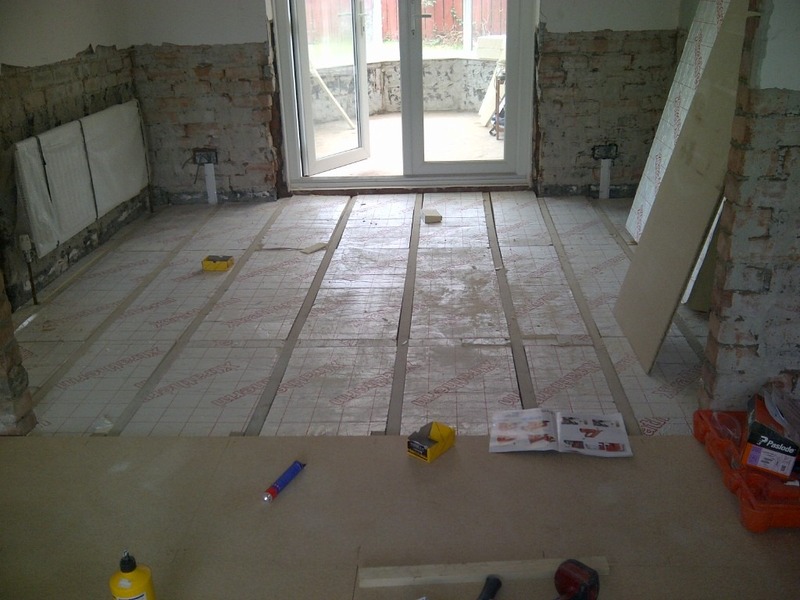 As the floors had been completely removed by the flood damage, it became necessary to replace these and bring their thermal efficiency up to existing Building Regulations standards. The flood had also damaged the walls as they had absorbed the putrid flood water so these were all hacked off and returned back to the brickwork. This in turn was rendered with sand and cement water proof render and then a skim coat of plaster applied to give a smooth finish. 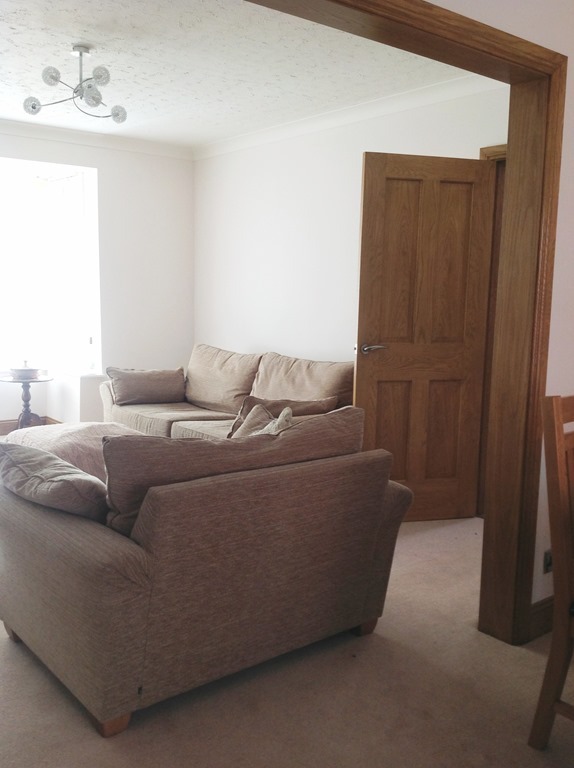 The next stage was to install the door frames, doors, architraves and skirtings which were all specified as natural oak. 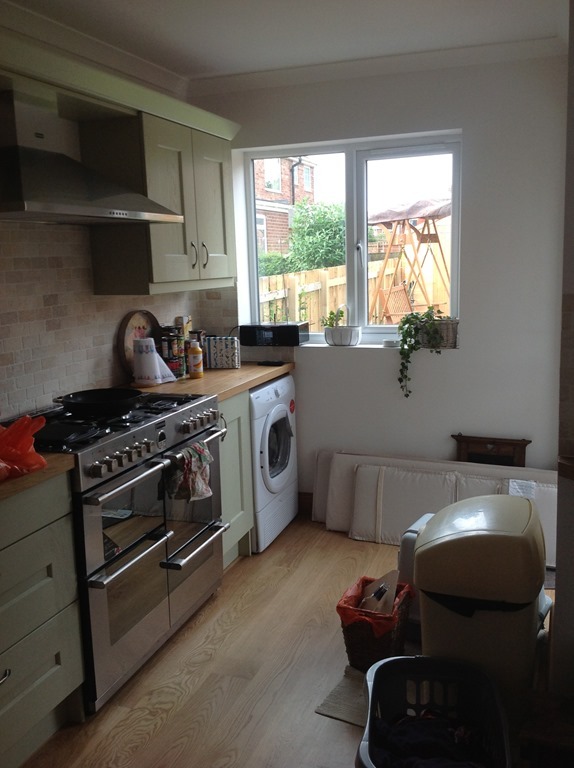 A new kitchen was designed and fitted with new appliances which were also damaged in the flood. 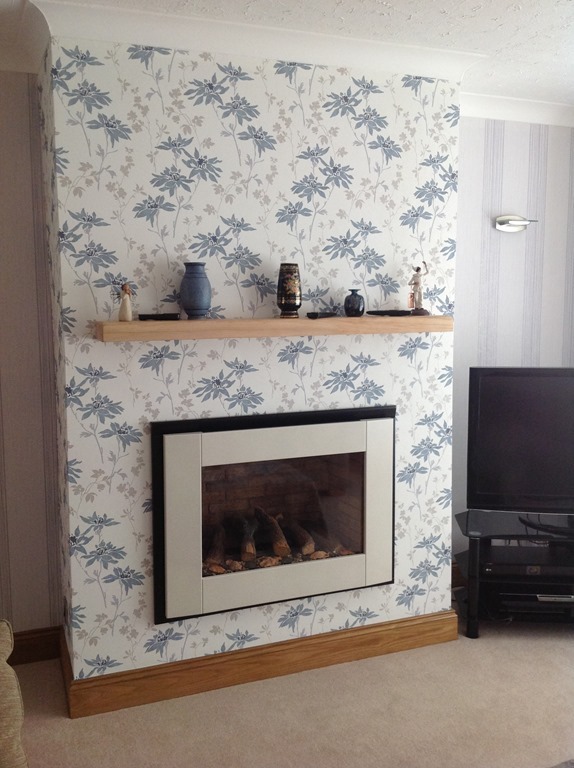 The lounge was brought back to its former glory with a new real flame gas fire and rustic oak mantle. 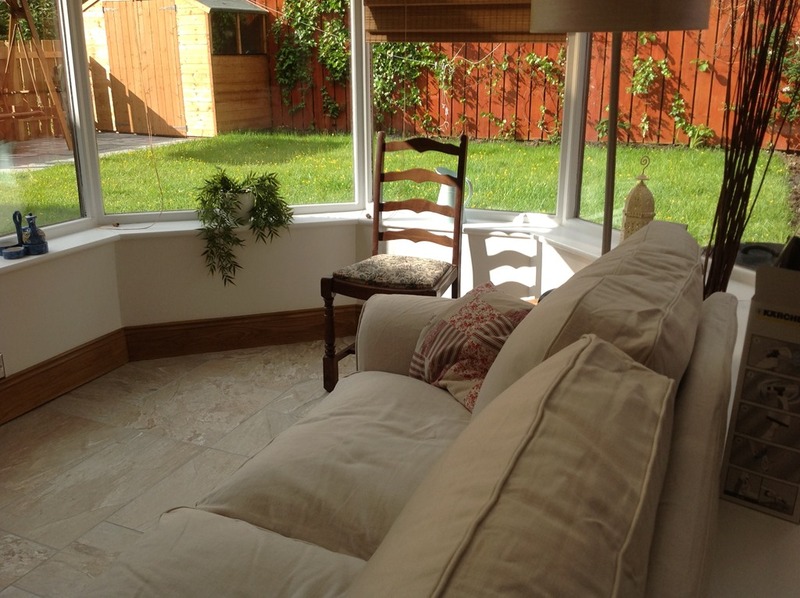 The conservatory also received a full renovation; tiles, walls and skirtings were all replaced. Finally the whole ground floor was fully decorated by a team of professionals. The clients, John and Kath had already been out of the house living in rented accommodation since the floods in June so were keen to get things moving as quick as possible. However they were also conscious of the fact that while the house was empty it would be a good time to update some of the other rooms. 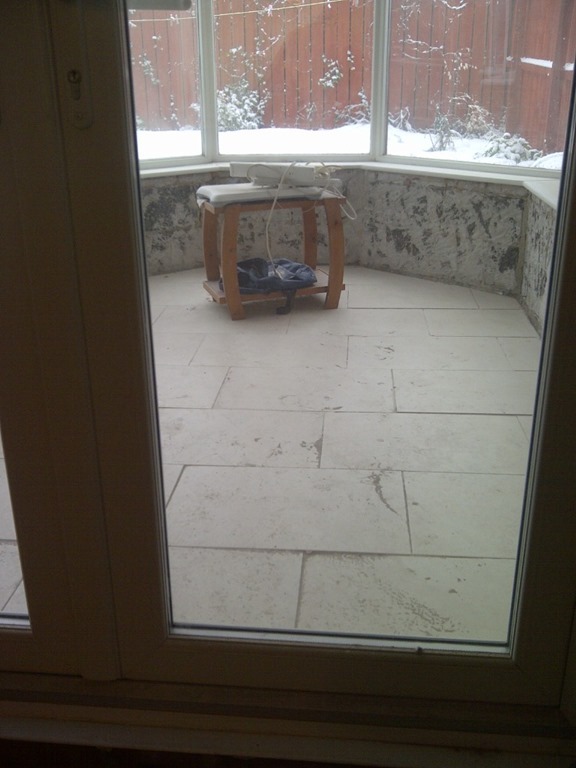 Consequently Macoun were asked to quote for a walk in shower room and the redesign of the garden. 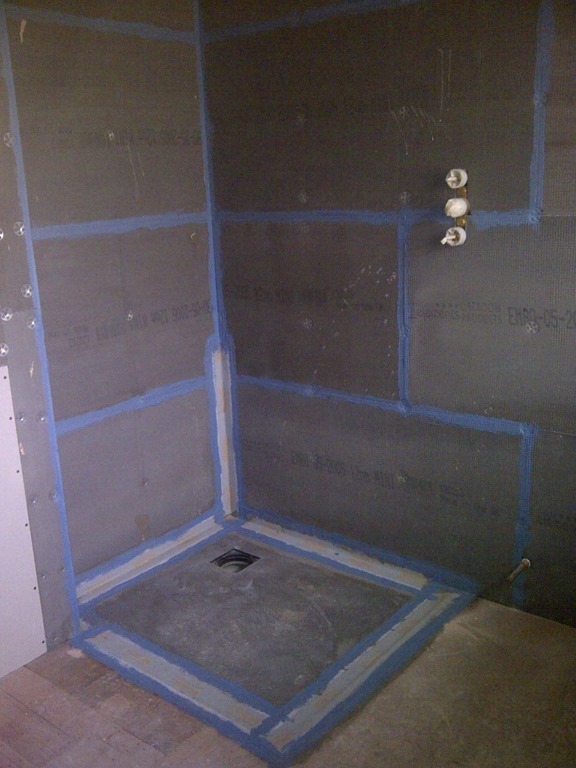 We helped in designing the shower room by suggesting various layouts and recommending a walk in shower arrangement due to the future maintenance requirements and we set about constructing it. 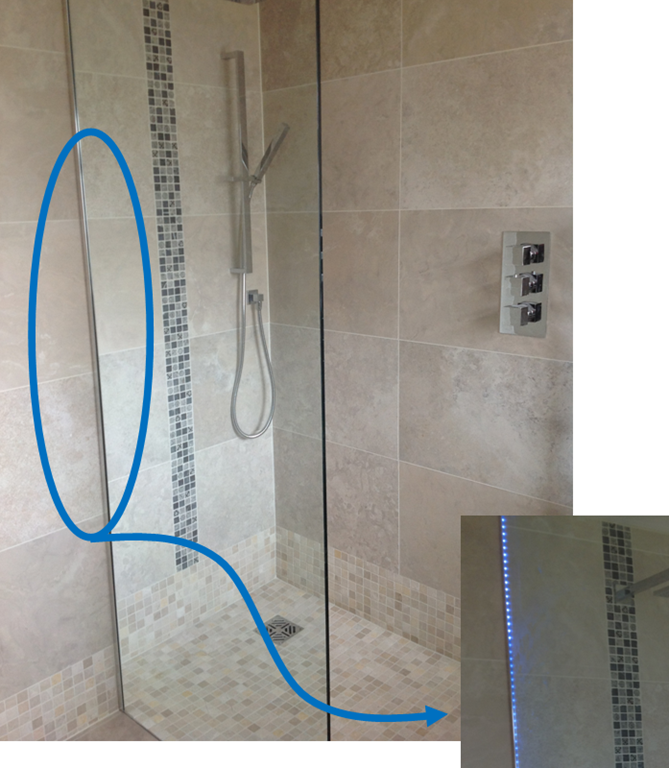 The clients selected the tiles and again Macoun asked their time served tilers to complete the work. 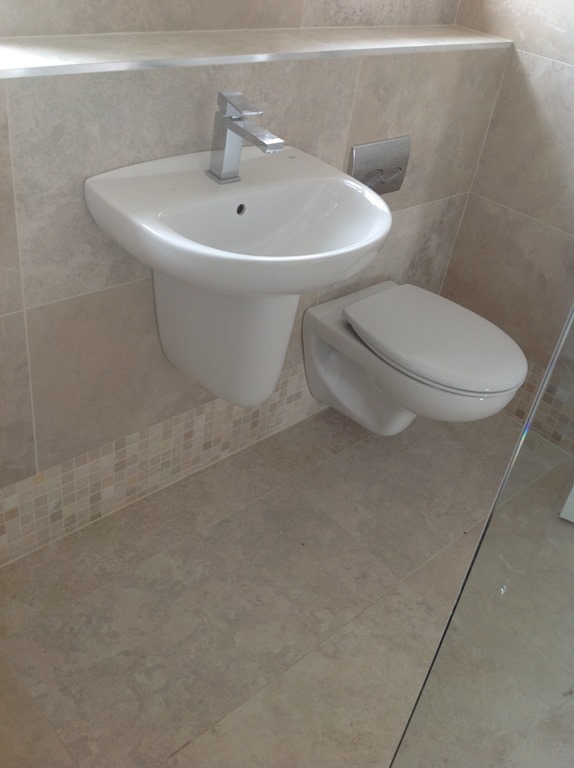 The sanitary ware was finally second fixed and the shower room handed over to John and Kath to enjoy. 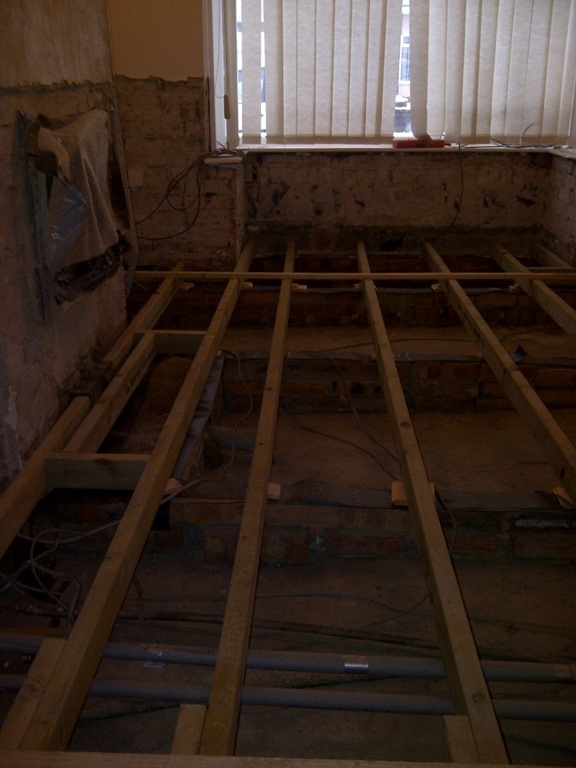 John and Kath commented, “We had used Macoun in the past for a kitchen extension and when the builders appointed by the insurance loss adjusters abandoned the work in January we had no hesitation in contacting Macoun as we knew that they would not let us down. From day one, Richard and his team (in particular Alan) were totally dedicated to restoring and repairing our property. The quality of the workmanship is second to none. 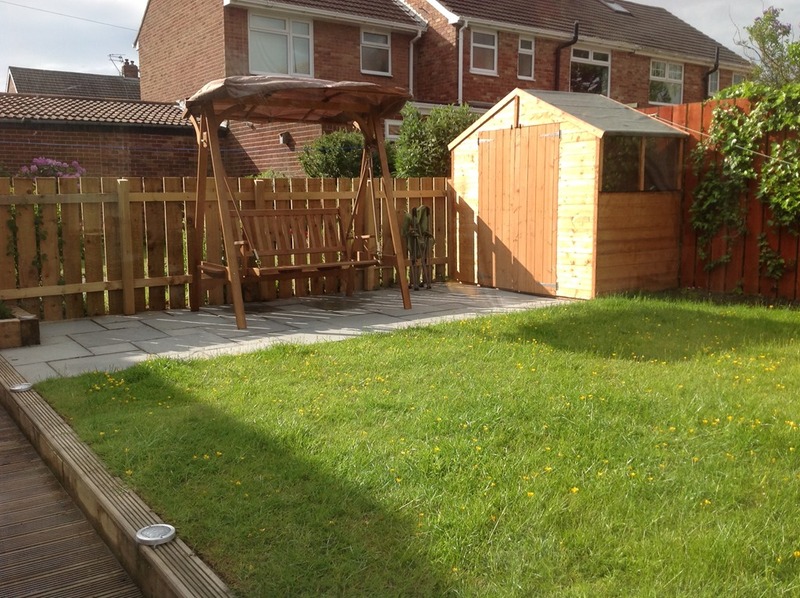 His team are highly skilled professionals and their workmanship and attention to detail gave us a finish that is to a very high specification and with which we are delighted. They worked with us in the decisions on each stage of the repair and rennovation and kept us informed of their progress and invited our input and presence. 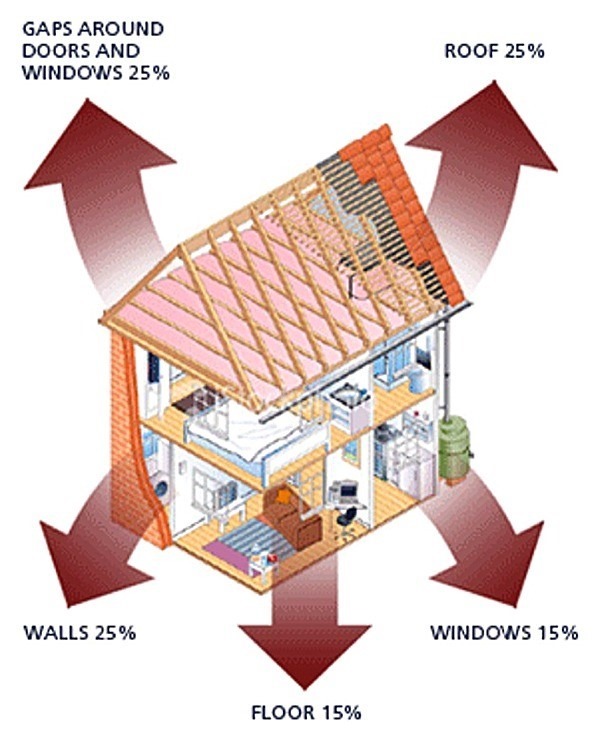 We would recommend Macoun to everyone and would most certainly use them again if we need any more building work done”.